On Tuesday, September 25, 2018, there was no lunch meeting. Instead we had a wonderful evening of feast and fellowship at Canopy Creek Farm. This was a great night to celebrate the past year and to look forward to the next year. This is the end of the presidential year for Chris McAlpine and we welcomed 2018-2019 President Donn Huss! New board members were also installed this evening. The ceremony opened with a moment of silence for Chuck Dickerson who is having a tough battle with cancer. Please remember Chuck in your prayers. Chuck joined CNO on 5/1/1977 and was president for the 1981-1982 year. Editor’s Note: a few days after the installation dinner Chuck Dickerson passed away. He was an inspiration to all of us and an important mentor and one reason for the success of the Centerville Noon Optimist Club. 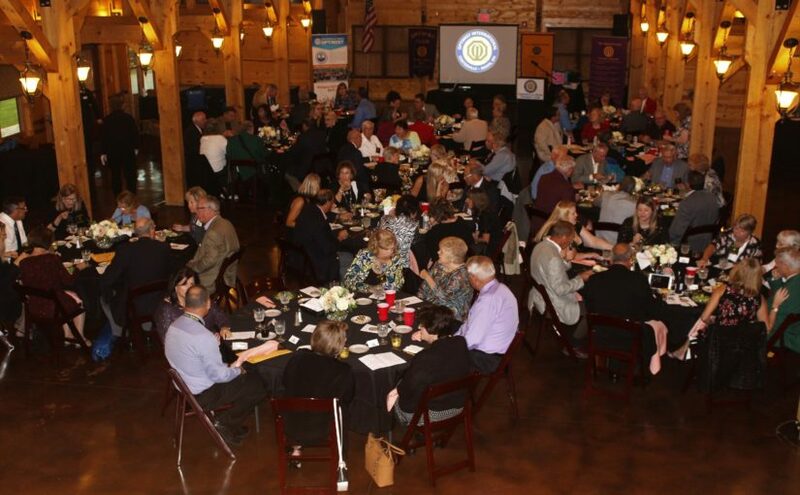 The social committee is co-chaired by Beth Duncan and Diane Arehart with members Vida McDowell, Melissa Deeter, Brent Richburg and Jerry Stahley. This team and their crew of assistants put on an amazing party. We started with appetizers then we had food catered by Kohler’s Catering. There were assorted cheesecakes for dessert. The choices and quality of food and drink were amazing. Gary Smiga was the Emcee for the evening leading us in the pledge and before we ate, Phather Phil gave us one of his inspirational prayers. Pat Behn, club member and Optimist International representative from the great state of Ohio, introduced the incoming officers and the incoming board. This included the induction of CNO member Donna Huss who will be the 2018-2019 President of the Centerville Noon Optimist’s 51st year. Elected to the position of Vice President are Jack Anderson and Debe Dockins. Newly elected to the board of directors for a two-year term are: Diane Arehart, Beth Duncan, Jane Fiehrer, Jesse Gaither and Sarah Umbreit. Current board members with a one-year term remaining are Liz Fultz, Gary Hansen, Bob Lawson, Don Massie and Roland Rapp. Jean Pummill will continue as Secretary and Gary Smiga will again be the Treasurer. Congratulations to new board members and thank you to previous and continuing board members for serving our club. After the introduction of the new board members and before inducting Donna Huss as the 51st President of CNO, there was the traditional passing of the gavel. The gavel was passed from one previous president to another in the order they served, ending with Chris McAlpine passing the gavel to new President Donna Huss. Gary Smiga noted that we only have single term Presidents. Out of 51 presidents, 29 are still active in our club. One of Donna’s goals is that CNO gets designated as a distinguished club for her 2018-2019 year. “Thank you, Chris McAlpine. During the past year I learned he only has one causal outfit.” She showed us pictures to prove it. Then she said, “And I learned that he loves coffee and donuts.” She then presented to Chris a one of a kind Chris McAlpine bobblehead to remind him that despite bobbles presented to him in life he possesses the skills to overcome them. She then presented to Chris and his wife Beth a gift card for dinner so they could celebrate the past year and its end. He mentioned that we have done things to help the wonderful and underrated kids JOI (Junior Optimist International) club. His daughter is currently involved in JOI. Gary Smiga presented to Chris a nice plaque from the club as a thank you with a gavel suitable for hanging in his office or home. He also presented Chris with a Lifetime membership card in Optimist International that we present to all of our presidents. Robbie Johnson, volunteers at many events. June Bosworth, brought in several sponsors and golfers for the golf outing and volunteers at many events. Brian Nolan, volunteers at many events. Patrick Arehart, author of CNOtes, created a flag delivery app, volunteers at many events. 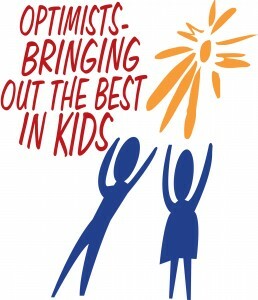 Each year the previous recipients of the Optimist of the Year award vote for Optimist of the Year. There were two recipients this year. Each spoke briefly after being presented. Greg Griffin’s “extended family” (wife and sisters-in-law) Marge Back, Evelyn Griffin, and Carrie Million for handling registration of tonight’s attendees so smoothly. We will be back to our normal schedule starting Tuesday, 10/2/2018 at noon for lunch at Yankee Trace. Bob Lawson lost his badge during tonight’s meeting – will he be fined at the next meeting? You can view a copy of the program here.